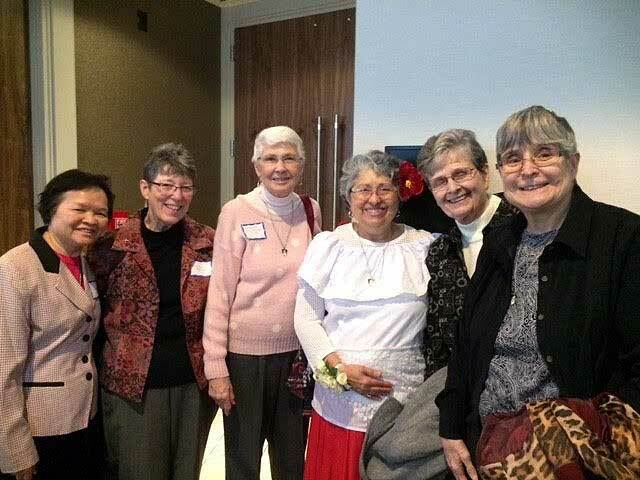 Dominican Sisters of Peace celebrate Sr. Alicia Alvarado’s induction into the Cleveland International Hall of Fame, left to right, Sisters Mary Phuc Nguyen, Marilyn Mihalic, Mary Ann Wiesemann-Mills, Alicia Alvarado, Marilyn Ambrosic and Barbara Ebner. The postcard campaign calling our elected official to pass reforms that make sale and possession of high-capacity semi-automatic weapons and ammunition magazines illegal and to institute comprehensive background checks and mandatory waiting periods realized over 4,000 postcards delivered to Congress and the White House. Thank you to all who participated! 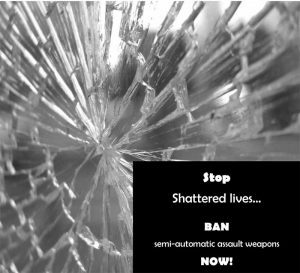 Please continue to advocate for gun control reform! 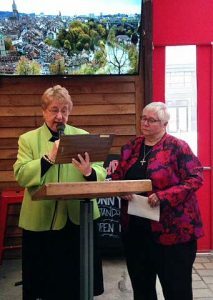 Sister of St. Dominic of Amityville, Karen Lademann, was honored on April 9, 2018, as one of three recipients of the first annual Trinity Award! The TRINITY HUMAN SERVICES CORPORATION was founded in 1979 in the Most Holy Trinity Parish on Montrose Ave. in Williamsburg, Brooklyn. Karen has served as the President of the Board and has been a faithful witness to the people of that neighborhood for years. As a guest commented: “S. Karen is a wonderful advocate for the people of Trinity parish.” As she now ministers as a Wellness advocate for our Sisters at the Motherhouse, we see that her advocacy continues! Due to a very busy Lent and Easter season, I’ve missed some movies that have been released in the last month, including some faith-based films I wanted to see. I hope I can catch up with them! 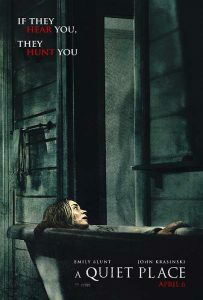 Meanwhile, I did have the chance to see A Quiet Place, a suspenseful movie that has become a hit this spring. A Quiet Place begins with the scene of a family of five (Father, Mother, a hearing-impaired daughter and two young sons) scrounging through a deserted small town grocery store looking for food and supplies. The father (John Krasinski) puts his finger to his lips to remind the children to be silent. The audience soon learns that it is imperative that the family keep quiet or something terrible will happen. It doesn’t take long to find out what. Noise attracts terrible creatures, who look like aliens from the movie of the same name. These creatures, apparently blind, have wiped out all traces of civilization. This family looks to be the remnants of the human race, in this rural part of the U.S., if not beyond.